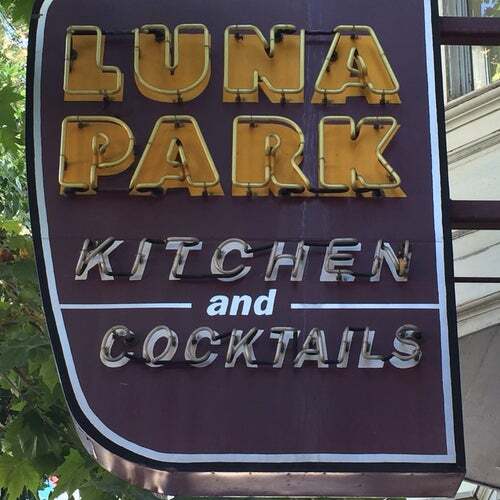 Luna Park is a trendy restaurant on Valencia Street that has achieved what seldom happens by remaining both hip and consistently delicious. Great from brunch to dinner, but reservations might be necessary. Excellent friendly and attentive staff ! Love the tuna poke, salmon entre, and bananas foster !! Just ok food. Be prepared for sticker shock. if you love french toast is over the top, check out Luna Park. Though known for dinner, this place has some of the best french toast on earth, with berry compote and mascarpone cream... also great the chilaquiles... and if that is not enough calories, make sure to start off with the warm goat cheese fondue!